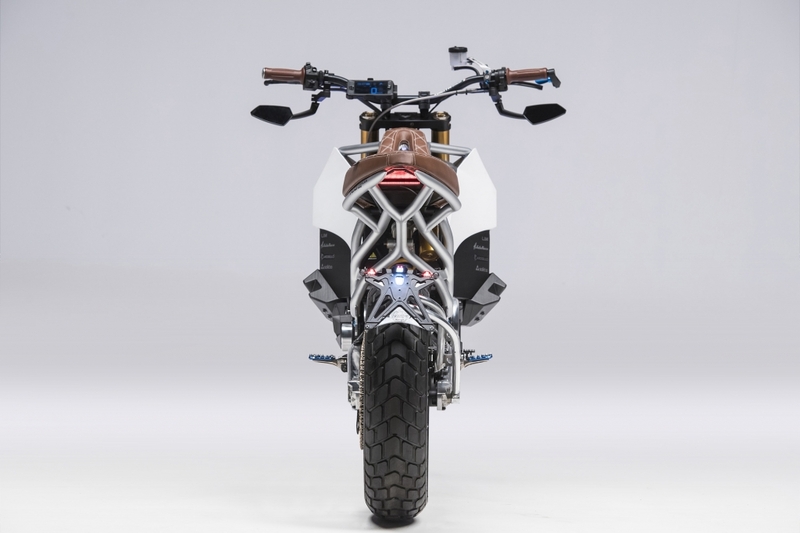 The Brainchild of fledgling Italian bike brand Aero and Italy’s top bike magazine InMoto, this menacingly angular E-Racer looks set to inject some much-needed sci-fi style into the electric motorcycle market. 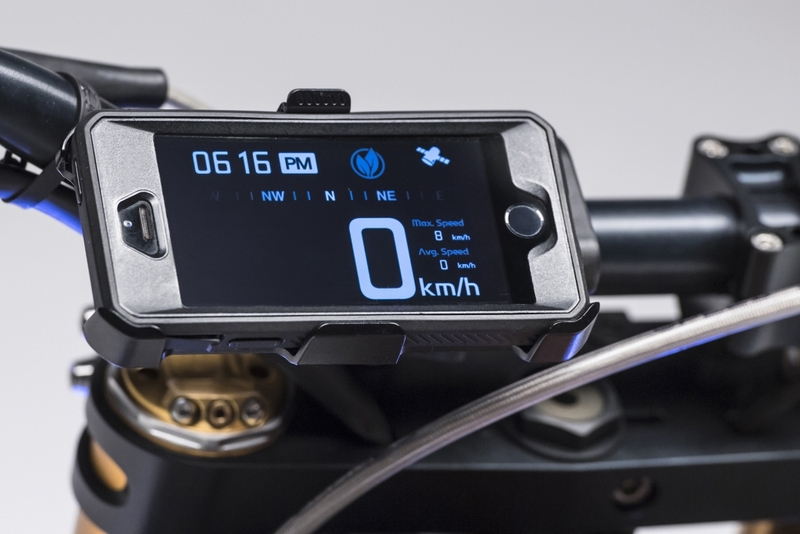 The E-Racer features a 5.3kWh lithium polymer battery and a powerful electric motor, which has been provided by Tacita, a fellow Italian manufacturer that has had much success entering all-electric bikes into Enduro races. 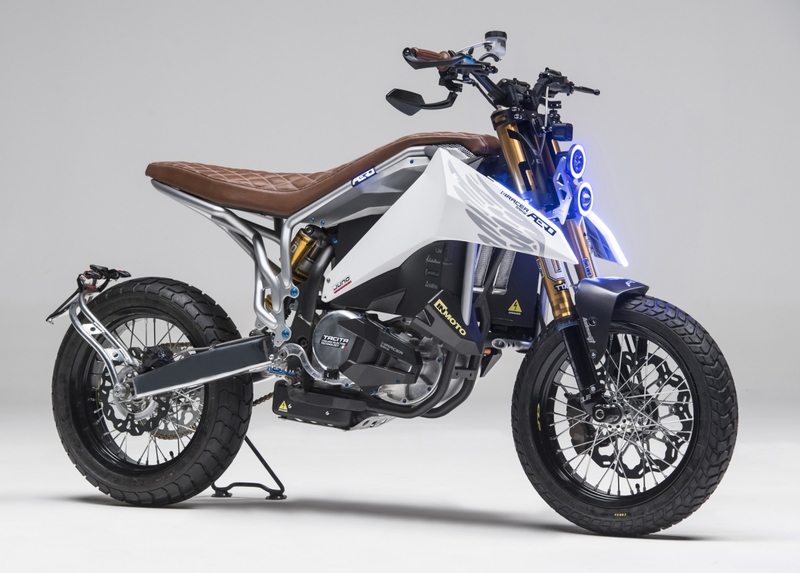 However, Aero’s creation builds on Tacita’s rough and ready off-road machines by adding a stylish leather and Alcantara flat seat (a neat nod to the current street tracker trend), various driving modes for smoother city riding and urban-friendly wheels and tyres. 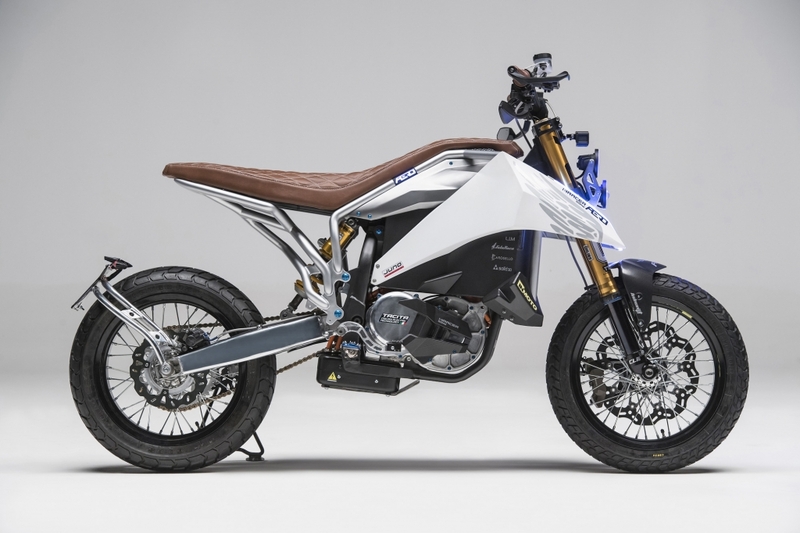 Its electric asynchronous motor can be mapped to either Eco, Urban or Boost mode, which sees the system draw more or less power depending on the circumstance or mode of the rider. Regenerative braking can also be modified to taste, with two different modes on offer. Max power is slated at 55Kw (73hp), while torque sits at a meaty 120Nm. And because this is an electric machine, that grunt will be transferred to the Tarmac immediately. The E-Racer’s bodywork is fashioned from a mix of Kevlar and carbon fibre, while most of the exterior parts have been 3D printed. 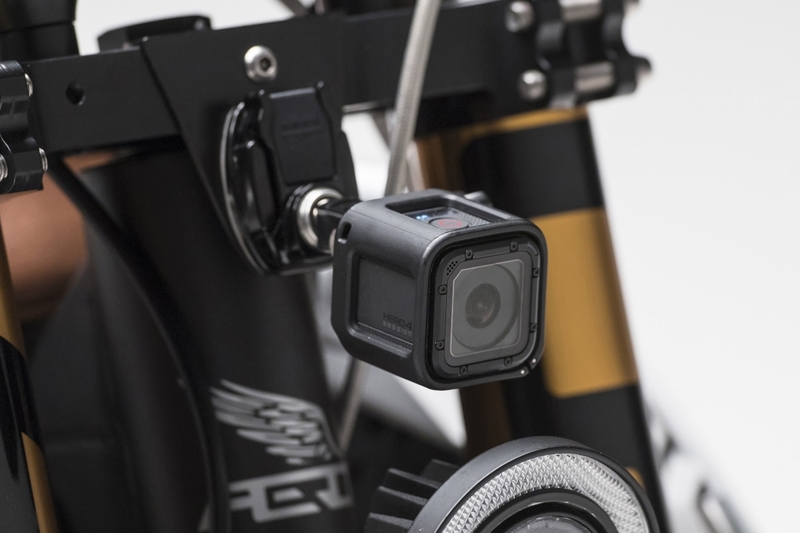 Plus, there’s a specially-crafted front mount at the front that houses the latest generation GoPro Hero Session action camera. Unfortunately, riding time is limited to around an hour, when a special Reserve Power function kicks in and cuts performance until the rider locates the nearest charging station. A full charge takes around 35-minutes from public stations, or 1h 30-minutes from a domestic plug socket. There is currently no word on pricing but Aero is working on a new website, which should be bursting with more information when it goes live.